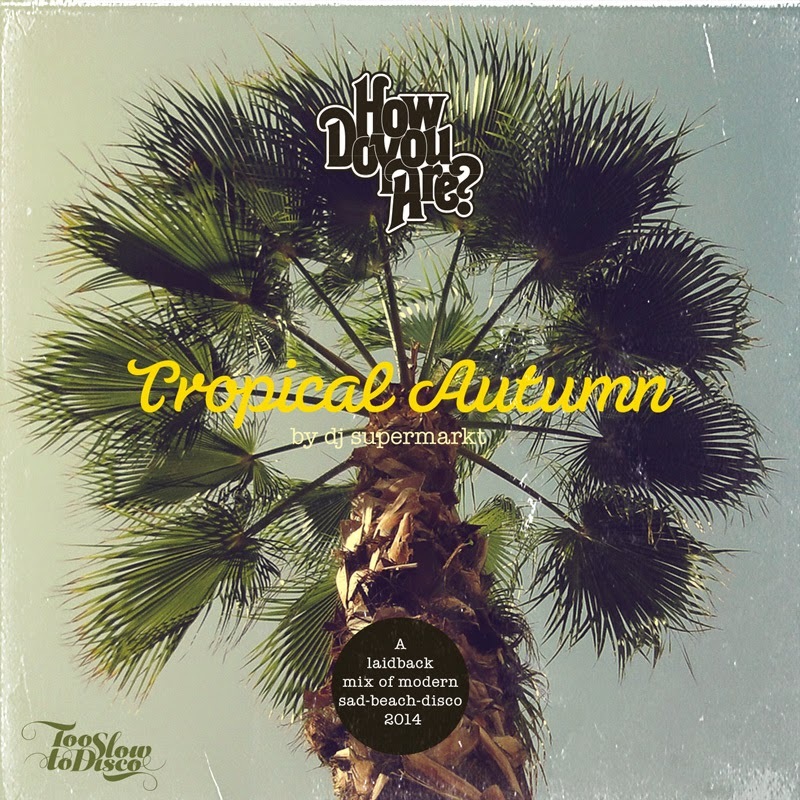 summer is finished, autumn is here, time for my annual lazy dj-flight to the "tropical autumn". 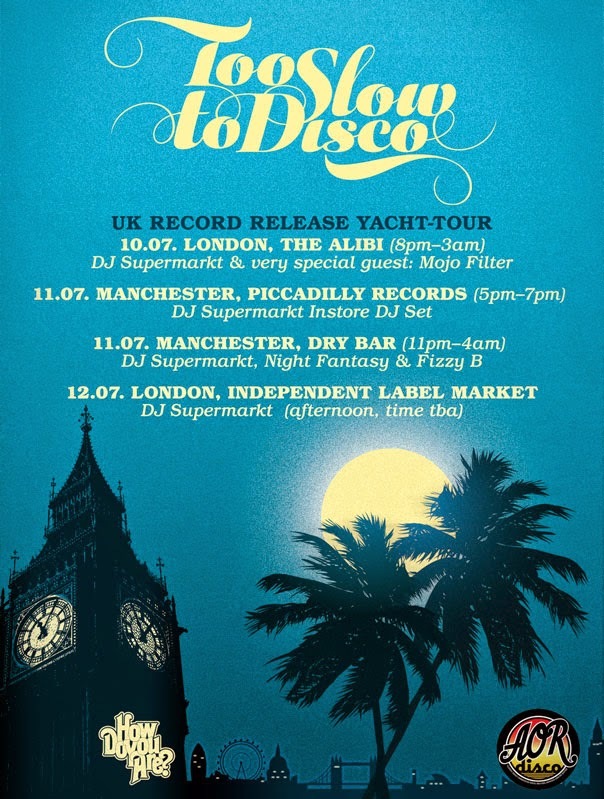 Expect 90 minutes of laidback, mellow daytime-disco tracks from today's artists, some known, most still undiscovered. There are pretty much all modern disco artists in one list, that I consider special this summer. Enjoy! 2. GL - what happened to us? Yes, amigos, it is happening! 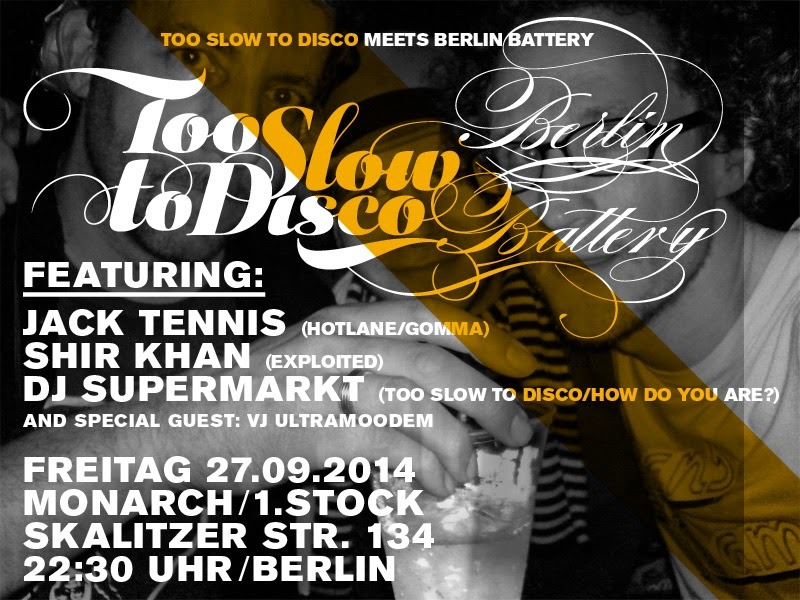 For the first time in more than 5 years the Berlin Battery - Boys (Jack Tennis, Shir Khan and DJ Supermarkt) get together for a special reunion-night of Disco-Edit-Mania from the 70s to 2014! - DJ SUPERMARKT runs the Yacht-Music-Blog and Record-Label How do you are? 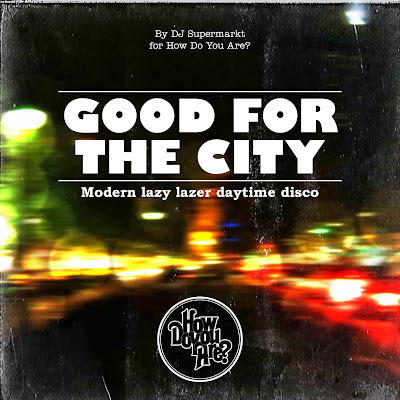 and released the Too Slow To Disco - Compilation this year. The boys will be deejaing all night long! Entrance 1 Euro, later 2 Euros, no guestlist! Summer is here, so I give you the perfect daytime disco soundtrack to it. These are my favorite modern Disco Slo-Jams from the last months, made to be played out in the shadow while hanging around and lazying wherever and however you do that. It is like a modern version of my compilation "Too Slow To Disco". So here it is, finally. 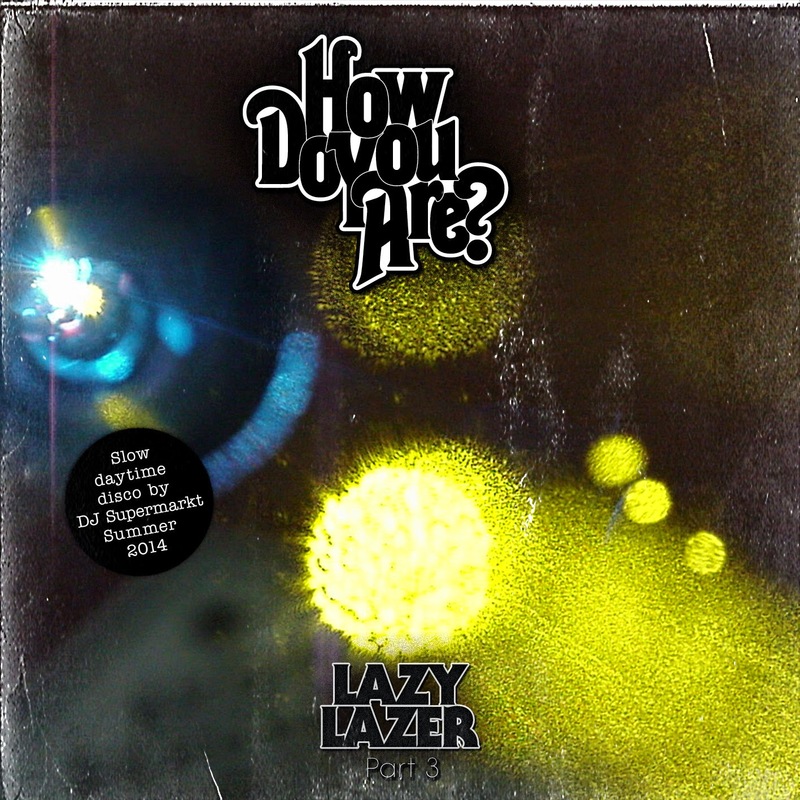 Today sees the international release date of DJ Supermarkt's first How Do You Are? compilation (comes as CD, 2xLP and Download). 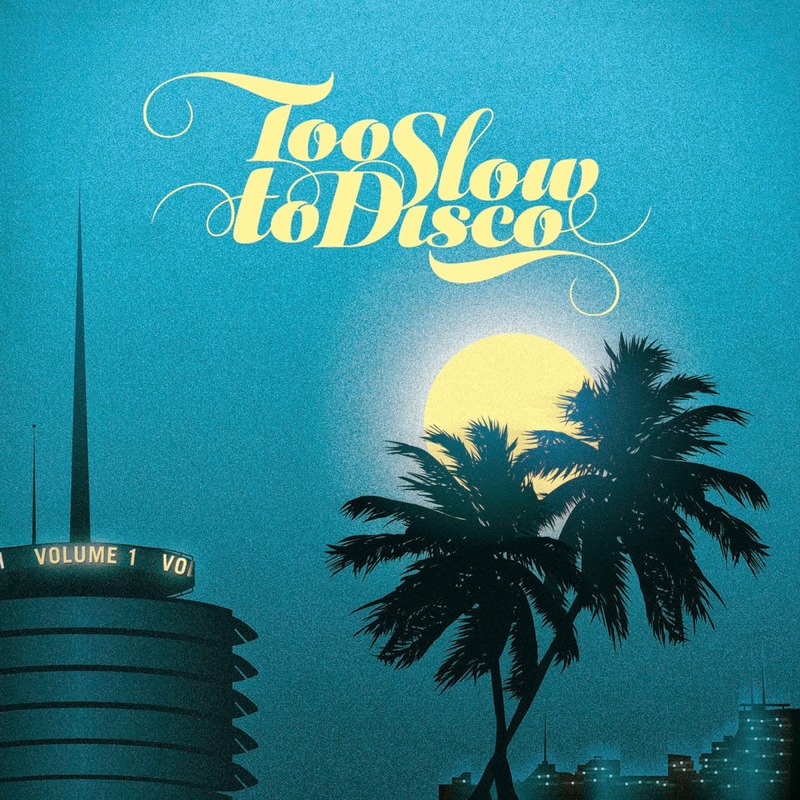 TOO SLOW TO DISCO compiles 19 tracks of "Late 70s Westcoast Yachtpop you can almost dance to", featuring long forgotten diamonds by bands like Photoglo, White Horse, Alessi Brothers and tracks by the megalobands like Fleetwood Mac, Doobie Brothers or Chicago. Release Date in Germany was friday already and the album just entered the "compilation-charts" at No 22, which is a miracle if you see, what kind of ugly crap (BravoHits) is in there with TSTD. Here is a new minimix to give you an idea of what to expect. This is a dj-mix I did after returning from The "Last Hurrah" Party with Sean Rowley in London's Basement Club. 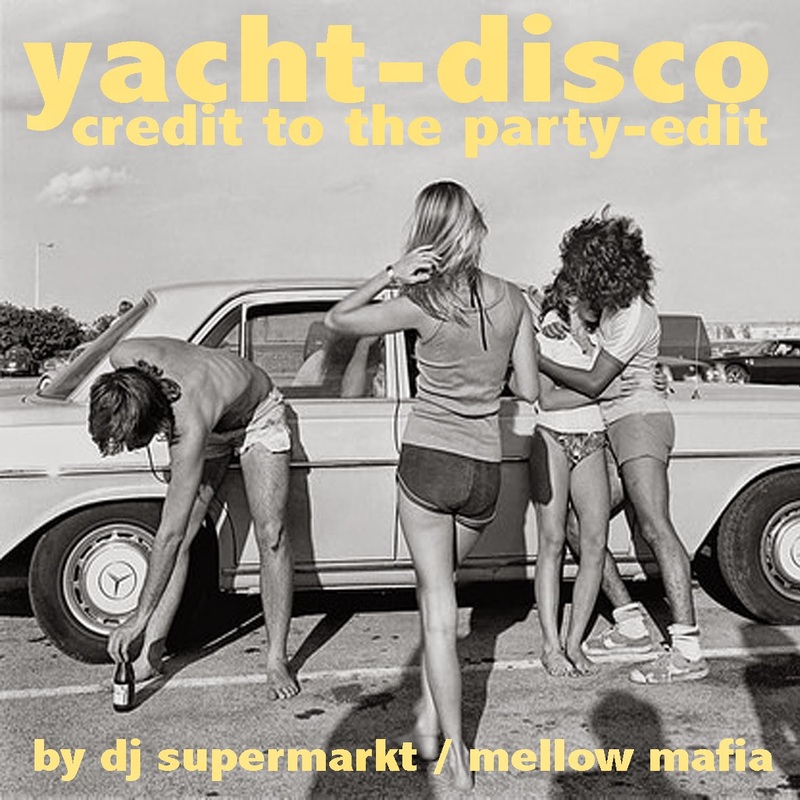 It features my favorite Yacht-Disco edits for a full dancefloor in a club (not a bar, where this music normally works). Guaranteed to get some disco-dance-action going. Pure Hits, but in a slightly different "edit"-disguise. This is to thank all those edit-producers that make my job as a DJ so much more fun and easier. Of course there are lots more of you, that I couldn't include in this mix! You know who you are.... FREE DOWNLOAD! HOTLANE is a Berlin based duo consisting singer Agnes Lindström and producer Jack Tennis. Jack is a well know name in the Berlin underground party scene as well as a DJ touring through the whole Universe. Agnes moved from hometown Stockholm to Berlin in 2008 and has been modelling, acting and playing good records here there and everywhere ever since. After meeting at the decadent Broken Hearts Club they started making music. After a successful 2013 playing live at different venues and as support act to Icona Pop and !!! (CHK CHK CHK) they finally recorded four of the tracks. Here is the first one: remixes by Italian house shooting star RICARDO BAEZ (Toy Tonics), Jack Tennis himself and French slow disco maestro DJ STEEF. dear readers, a happy 2014 you all. hereby i proudly announce my next EP incl a Urulu remix, out next week: happy listening and a smooth transition into this year. 24 tracks, 1:41 hours FREE DL! my latest radioshow is online, updated every 4 weeks and to be heard on Ego FM. Thanks EVERYBODY! Just reached over 1000 followers on soundcloud! This little discofied edit is a small present for all you out there, who - strangely enough - like what I am doing. The lovely JAYE P. MORGAN is an american singer, actress (and game show panelist). She released about 15 albums in various musical styles. "Lets get together" is from her selftitled album from 1976, where she experienced a fusion of Disco and Pop. The musicians on this album are like an all-star 70s studio-crew: David Foster produced, Jeff Porcaro on drums, Kenny Loggins, Ray Parker Jr. Lee Ritenour and many many more! Enjoy this mellow Disco-Pop-trip!